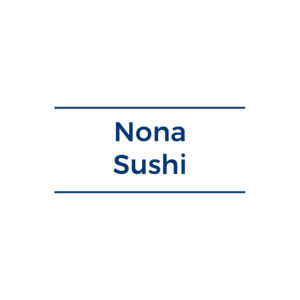 Nona Sushi is a family owned and operated restaurant. We offer a variety of cuisines including traditional Japanese Korean and Chinese dishes as well as a full sushi bar and menu in a casual atmosphere with a tranquil ambiance. Our menu is gluten friendly and flexible; we cater to any size party and provide unique dishes such as steamed whole fish and fresh seafood to request. Family-friendly with a children’s menu available.